Lylian heirloom clothing has a long history in the state of Louisiana. 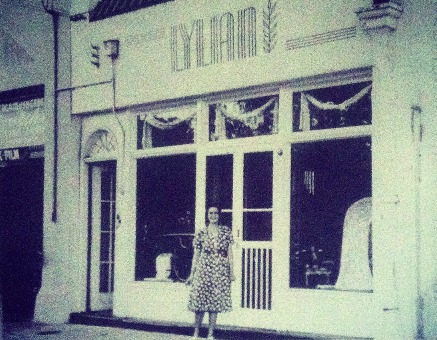 Originally sold in the Louise shop in the French Quarter, Lylian dates back to the early 1920's. Lylian was an outgrowth of the Acadian Handicraft Project, which put gifted seamstresses from southwest Louisiana, many of whom still spoke only in Cajun French, in touch with stores and buyers in New Orleans. They made everything from baby clothes to embroidered evening gowns, Christening gowns and First Communion dresses. for such bygone stores as Maison Roff, the precursor to Maison Blanche. In the ensuing decades, the reputation of the shop, which moved to St. Charles Avenue, extended far beyond the city limits. After the St. Charles Avenue location closed the Lylian collection was relocated to Pippen Lane on Magazine Street, where it still resides today. The original Lylian shop, located in the French Quarter.